Hi guys! My name is Emile Bec Drelon, i'm 23 and I'm a freelance Motion Designer / Editor / Video Maker since 2013. I studied Video, Graphsim, Web programing and basically every aspects of Multimedia and internet jobs. It happens in the wonderfull city of Le Puy en Velay and Chambéry. I then moved to Lyon (France) for a better proximity with the different person i work with. Since August 2016, I live in Toronto, Canada. I'm still working for my french clients but I'm also trying to find businesses here. If you are interested in my work and ideas, check out the content below to learn more about me and my work ! – 2011 : Emile Duclaux High School (Aurillac, Cantal, FRANCE) A level equivalent of Sciences (Drama option). – 2011-2013 : 2 years Degree IUT MMI (Multimedia and Internet Jobs) in Le Puy en Velay. – 2012 : Child Worker Degree. – 2013-2014 : Professional Licence : ATC (Video Shooting, Editing, Sound Mixing, Compositing) in Chambéry. I have a driving licence and a Child Worker Degree. I’ve played music for 12 years (Piano, Violin and Guitar) and used to practise Tennis and Climbing. I’m also a huge fan of Cinema and TV shows, fields in which i would like to work. Since a few years, i’m directing various video production. From Corporate film to 2D animation, or Reportage, I enjoy every project that i work on. Just go out there and do stuff ! Create stuff ! I'm in the video business since 2012. I started young but over the years, i had the opportunity to improve my skills in several companies that believed in me. – Six months Civic Service in a regional Web TV («Couleur Cantal»). – Two weeks internship at «Actimail» (FAIRCOM Group) in Geneva. 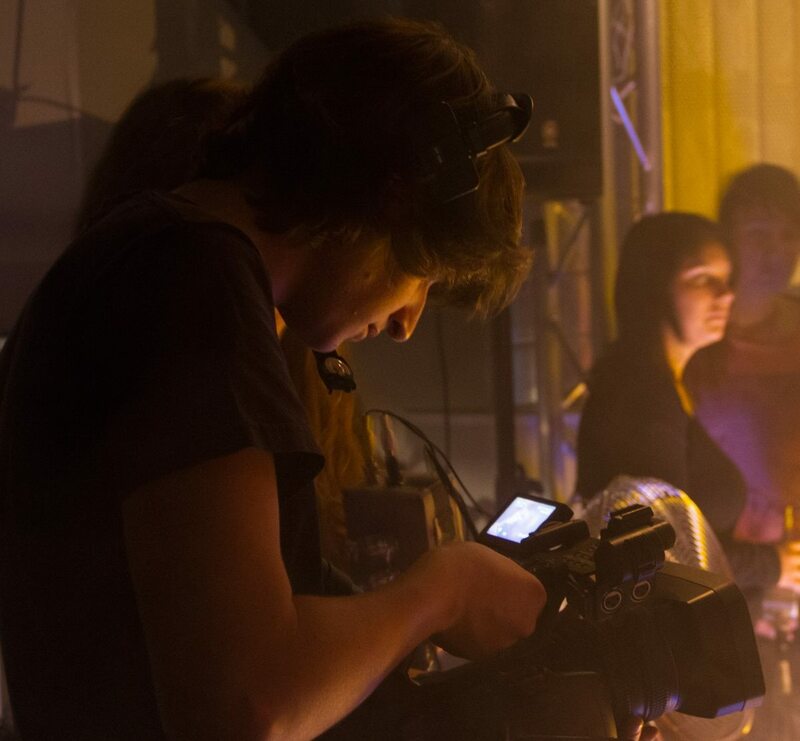 – Camera operator in the production team of the 14th International Festival of Boogie Woogie (in Laroquebrou). – Three months internship at «Each Other Production», in Lyon, Video Production company, April 2013. – Four months intership at Black Island Media in le Puy en Velay, Video Production company, March 2014. – Three months, full time, at Kaboch’Arts Video as Editor/ Motion Designer, Lyon. My major goal is to participate in the production of a feature film, mostly in the post-production phase. In order to do this, I know i have to climb the ladder and i would like to get a peek at every aspects of moovie making. I find the whole process fascinating. And who knows, one day i could direct my own project ! Graphism : Adobe Photoshop, Adobe Illustrator. Editing : Adobe Première, Final Cut Pro, Avid Media Composer, Végas Pro, Pinacle Studio. Compositing / Motion Design : Adobe After Effect, Mocha (Vidéo Copilot / Trapcode Plugins). Color Grading : Da Vinci Resolve, SpeedGrade. Sound Mixing : Adobe Audition, Avid Pro Tools, Audacity. Others : Adobe Encore, Adobe Media Encoder, GanttProject, Cisco Packet Tracer, suite Office. Need my resume? Download it ! It contains all of my professional experiences, my curriculum, my professional skills and some additional informations about me. How to contact me ?